Badou Jack lost a wide decision to Marcus Browne last weekend. 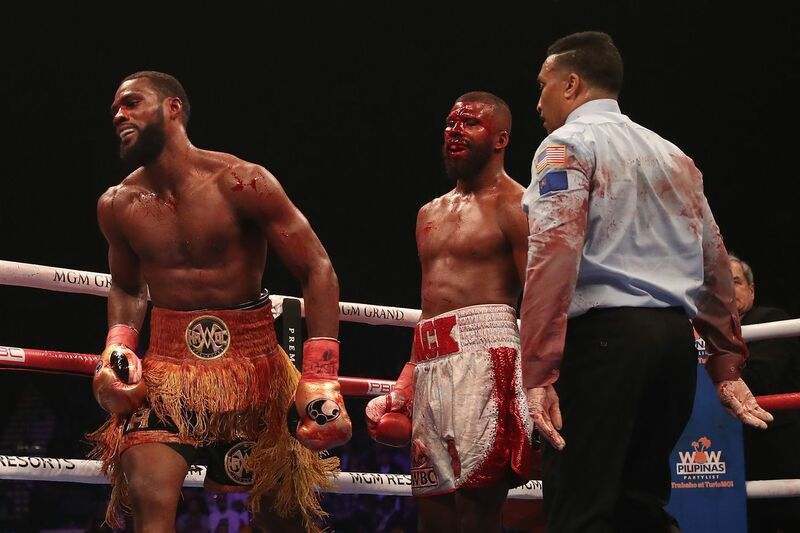 Badou Jack suffered a really ugly cut on his forehead during last weekend’s fight with Marcus Browne — a cut that only seemed to get worse with each punch landed on him — but Jack largely dismissed any concerns about the injury, which will surely leave a lasting scar. “It might not look pretty, but I’m a fighter not a model,” Jack said on a call with a few boxing reporters to discuss his gruesome injury on Tuesday. At one point in the fight it look like Jack lost big chunk of flesh when he was hit with a clean shot on the existing cut, and following the fight it was readily apparent just how deep the cut was. Jack didn’t use the cut or the tremendous amount of blood flowing down his face as an excuse to get out of a fight he was losing badly on the cards, and reflecting on the bout Jack says he was simply determined to to fight until the very end. Following the bout Jack required a plastic surgeon to sew his face back together, which included roughly 100 stitches, including about 30 on stitches on three different layers of skin. That’ll be sure to leave a mark, but Jack says he’s a warrior and in good spirits, and that he hopes to land a rematch against Browne going foward.